What is a Clinical Trial, and Can I Participate? Researchers across the country are studying varying aspects of Alzheimer’s disease, looking for effective treatments. Once researchers identify a promising drug, it must go through a rigorous clinical trial protocol to test its worth. 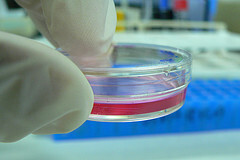 Clinical trials require the participation of many subjects in order for them to fully test a new drug. However, many people don’t know what a clinical drug trial involves or how to participate. Generally speaking, clinical trials test drugs on human subjects to determine if the drugs are safe for humans to take, and whether they are effective, defined as a drug which results in slowing the course of a disease, or preventing or reversing its progression. The trials also monitor the side effects of the drugs. Drug trials are carefully constructed experiments that start with a small number of people and expand participation only if the initial phases are successful. Trials involving humans testing must be approved, monitored and reviewed – both in advance and periodically during the course of the trial – by an Institutional Review Board (an IRB). The purpose of the IRB is to protect the wellbeing and the rights of the humans participating in the trials and to address ethical issues. Phase One -The first phase of a drug trial establishes whether a drug is safe for human consumption. The sponsor enlists a small number of healthy volunteers who take the drug for a period of time and report any health problems or side effects. Phase Two -Only if the drug passes Phase One will the trial move onto Phase Two. At this stage, the focus is on whether the drug is effective in treating either the symptoms or the causes of the disease in question. The people enrolled at this stage will have the medical condition which the drug is supposed to treat. Typically the number of subjects will be 2 to 3 times larger than the number involved in Phase One. Subjects may be divided into groups who receive different doses of the drugs to help determine appropriate dosing ranges. This phase continues to tracks adverse side effects and overall safety as well. Phase Three -If the Phase Two trial demonstrates that the drug is effective, the trial will move into Phase Three. In Phase Three, the size of the trial increases yet again, often involving hundreds of subjects, all of whom have the disease. It is common at this stage to expand the trial to multiple sites, under the administration of different groups of physicians, to insure that the results are consistent when conducted by different institutions in different geographic regions over time. Although not all Phase Three trials are structured in the same way, scientists and regulators have the most confidence in the results of Phase Three trials that divide the subjects randomly into two groups. One group receives the drug being tested; the other group receives a placebo, a pill without any active medication. Neither the researchers nor the subjects know which group is receiving the medication. This format is called a random, double blind placebo trial. It is intended to remove bias in assigning patients to a group and in interpreting the results. At the end of this trial, the sponsor and the FDA can look at the outcomes for hundreds of patients and assess whether the drug offers a treatment that is safe and effective at specified doses. If a drug successfully completes its Phase Three trial, a pharmaceutical company may use the trial results to obtain the approval of the FDA for the sale of the drug. Even if the drug is approved, the FDA will require the sponsor to continue to track and report clinical responses to the drug. As any drug becomes more widely available, the more likely it is that rare side effects, or side effects which only develop after prolonged use, will become known. There are many clinical trials involving potential Alzheimer’s drugs that are seeking human subjects at this time. Each trial will have its own criteria for inclusion. For example, some trials are looking for healthy subjects, some are looking for individuals of certain ages or at certain stages of Alzheimer’s disease. If you are interested in knowing more about on-going studies and possibly volunteering to participate, you can learn more about these trials here.